Welcome! 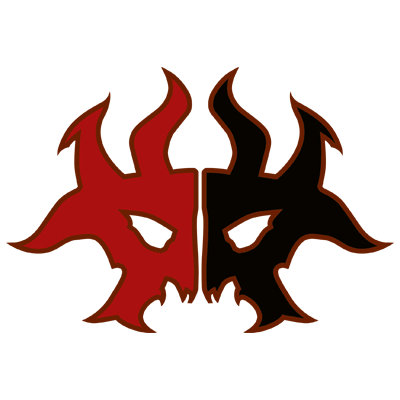 This thread is for announcements and discussion of what's hip and happening in the world of canonical Magic: the Gathering, i.e. the actual sets released by Wizards of the Coast as opposed to custom projects. If you're discussing a new development, please link your sources. I still can't believe 1 mana dorks are back on the menu again. 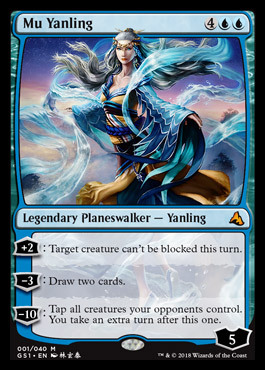 Wizards sure is having a high turnover with design changes these past few years, what with Phasing coming back onto a card, Legendary matters being a thing again, and all the Planeswalker changes. Seems it would be yes. They had to reference Lotus somehow! I approve. You can thank me for suggesting scryfall, lol. magicTCG converted to using it for a very good reason. I can't believe how many cards that feel or were previously rare are becoming uncommon, too Thorn Elemental is a really notable example and The Eldest Reborn, Grunn, and Slinn Voda sure as heck don't feel uncommon! Its going to be really hard to use dominaria as precedent for anything when its so different to everything else. True. We'll probably have to wait until Core Set 2019 to see what WoTC's (temporary) final stance is on all these design changes. 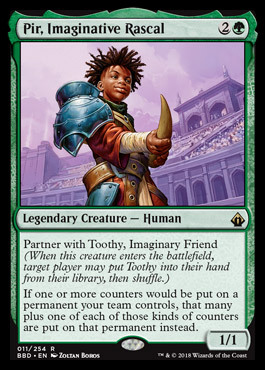 Can I say that I've been playing since Ice Age and I don't think I've been as excited for a set as Dominaria. It helps that I will finally be able to hit the prerelease (lack of money and/or places that run them were common for me, as well as the periods where I stopped keeping up with the news). There's so much to love here. Part of me wants to build a WG deck solely so I can have Llnaowar Elves, Serra Angel and Thorn Elemental in a deck again. Not sure where to put this because I really don't know how these forums work yet but can I just say I'm super stoked that you changed from sourceforge . Hopefully there will be some way to move all the featured cards and sets over to here somehow. And can I just say the new Dominaria uncommons are lit. They pretty much have rare-level power levels and that seems like it'll make a bomby and exciting draft environment. I am also from Ice Age era magic and I am just stoked for Dominaria. I think they nailed it on nostalgia and I like the return of certain power level cards. Can’t wait. I can’t believe they didn’t do a nostalgia based masterpieces for it but oh well. I can't really say something like "nostalgia", since I started playing somewhere arounds KTK/FRF (casual Abzan deck ftw), but I am generally hyped for Dominaria. Also, by the way, I live in a place which I wouldn't call remote, but there are no shops where I could buy Magic (buying online is all I have). I also have close to no friends to play with (there's that one guy who sees I've brought some cards and he's like yo dawg you bringen megec lemme play, he's the only one who knows enough English to play btw), and because my uncle teached me and I can see him like three times per year max, I'm kind of screwed. Never tried playing online, but I don't think it'll be the same as regular play. The feel is not the same. Gorgonzola : You could always get XMage or Forge. They will let you play magic on the PC. XMage is better for multiplayer, Forge is better for solo play. I mean everyone is different but I primarily only play online. I have paper cards and stores to go to...but I also work like 50-60 hours a week and have three kids. So making it out to an event even as short as FNM is difficult. So I play online. MTG Arena is more "modern" though it is in beta testing now. Dominaria can't come fast enough. 10 days and I just can't contain myself! I've got 12 boxes coming in the mail. While I don't think I could justify dropping a grand on it, I too am super hyped about Dominaria; in fact, I'm finally going to get to go to a prerelease (money and/or logistical problems always kept me from previous ones.). Can't wait! I've only ever bought sealed product, because I love opening packs and buying singles just feels like cheating. So dropping a little over $1,000 made the most sense. Well, I have just came back from my first prerelease and I am quite satisfied; I went 3-1 with a Ub historic deck (alas, I was unable to pull a Jhoira or a The Antiquities War. I did get 2 Lances and a Forbear's blade as well as a few birds to put them on, though.). My only loss had me being forced to mulligan to 5 in game 1 and drawing my big creatures (the 4/3 spectre and the 8/8 kraken) on turns 3 and 4 in game 2. I didn't draw a third land until about turn 8... and that was after being milled 4 by the Homarid. Still, I had fun. Midnight prerelease! Pool was absolutely ridiculous - foil promo Karn, Josu Vess, Zahid, a couple of other pieces of spice. Built Esper, ran unbelievably smoothly, never lost a game. While I was indeed very, very lucky with my pulls, I still think it's the tightest I've played in a long while, and I'm very proud of my victory. My brother came to visit and we went to prerelease together. My pool looked horrible at first until I saw I had some Squee synergy. It was a super fun deck that allowed me to sacrifice and even exile Squee and recast him. One game I think I cast him 15 times lol. In the end I had to get home to make dinner and had to conceded my last round which made it 2-2 but I had a tone of fun. I really looked forward to the prerelease, but life got in the way in the worst way possible. Dominaria can't release fast enough. Also Jace is totally opposed to Lilianna now. Which is a nice turn I think consider how long he let her manipulate him. 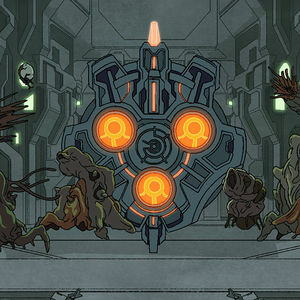 Waiting for a return to Homelands, where they steal the Apocalypse Chime from Grandmother Sengir. Grandmother Segnir forgot she has the apocalypse chime. So how are they going to do that? Also I think the protection is still there, preventing pmanewalkers from entering no? Not to be a jerk, but I don't think that a discussion about Homelands lore really belongs in a thread about Magic news. 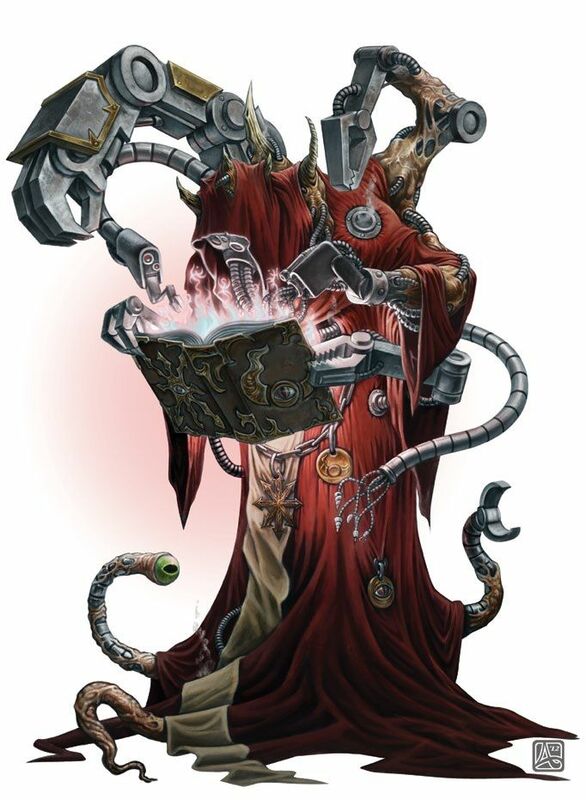 WotC sure does many new "submechanics" suddenly. 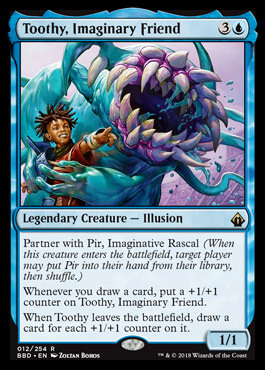 First "equip some creatures" and "hexproof from stuff" and now a restrictive Partner - with additional tutor upside? 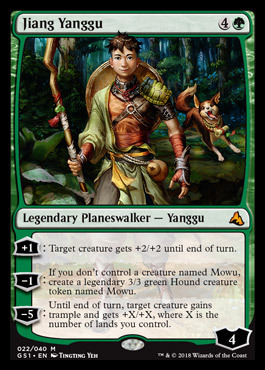 In the China specific planeswalkers. Maybe they want the players to identify themselves with the characters? Some people (dumb) may also point out that USA has a couple of years of exclusive sets, just for that country. I feel discriminated, though. I know it is a big market but why can't I play with those wlakers. Unless you can use them outside china in standard. As for the Two-Headed giant cards. They seem strong. Also, what are the rulings on legendary creatures? Can you have a legendary creature while your teammate has a legendary creature of the same name? Finally, partner with foo confused me with the partner commander mechanic. I mean, if you want the commander partner mechanic to restrict to another specific card, like two brothers, now you cannot do that because partner with foo is something completely different. That's the catch: It's not different. While it's not included in the reminder text, you can have both of the cards above as a pair of commanders. It really is a subset of the "normal" Partner mechanic (see the official article) except to balance out being restricted to only one specific partner suddenly allows for the tutor ability in other cases..